Above…. Wow what a win by Krone in the Listed Darby Munro Stakes at Rosehill on Golden Slipper day. 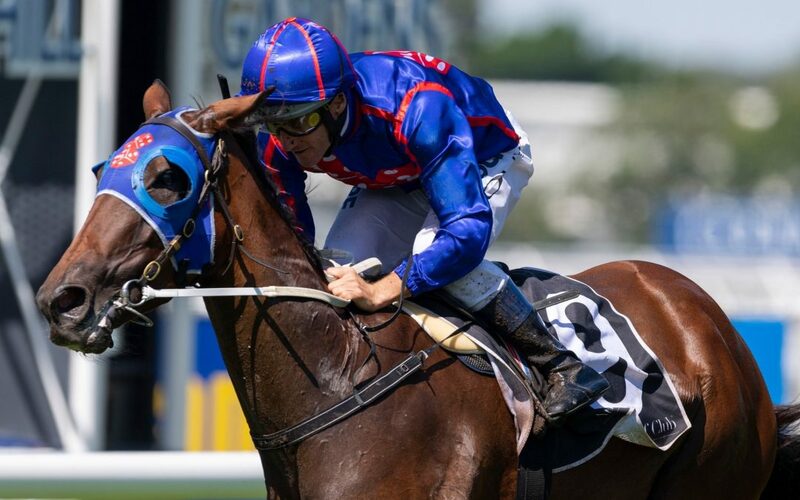 Krone – In what is always a traditional Melbourne vs Sydney rivalry our RTD owners and supporters were the ones enjoying the spoils sending her out as a $26 chance. They clearly didnt look at her form during the spring or her great first up run a fortnight ago, which as we at RTD know was franked last night by Anjana winning comfortably. The Race – panned out perfectly right from the word go as the speed was on and for the first 800m they were spread 3 across the track. With the favourite doing a heap of work during the run it was going to be setup for the backmarkers. Krone is as honest as the day is long and we know she never runs a bad race was stalking the leaders after master jockey Damien Oliver cut the corner and was saving ground for a big final effort over the last 400m. As the leaders tired the courageous Krone kept finding the line and with blinkers for the first time she finished over the top of a quality field to score by a half length. It was a great result for the RTD team who have had a busy weekend. Andrea Mantegna also ran at Mornington on Saturday afternoon and wasnt suited by the slow tempo. He is however ticking over nicely for the Warrnambool carnival which is only 6 weeks away.